reheat the oven to 400 degrees F.
In a medium size bowl, toss the edamame with the garlic olive oil to coat completely. In a separate small bowl, mix together the Parmesan cheese, garlic powder, onion powder and chili lime seasoning with the salt and pepper. Add the Parmesan mixture to the edamame mixture and toss. 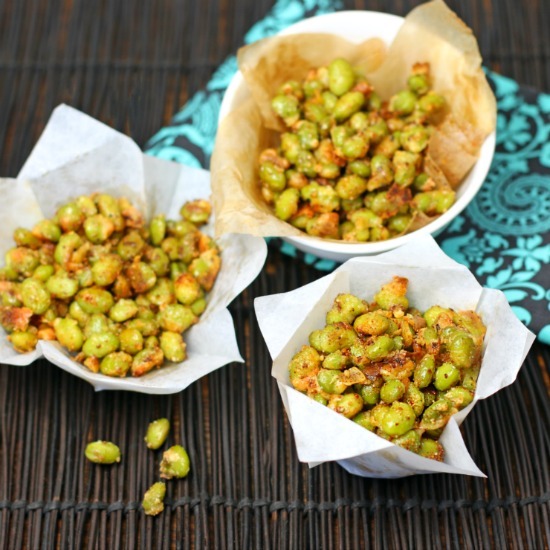 Spread the edamame on a rimmed baking sheet and bake about 10 to15 minutes, turning once halfway through, until the cheese begins to brown. Store in an airtight container and enjoy! 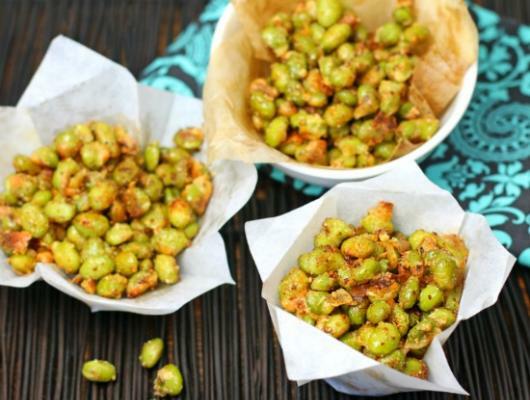 Crispy Baked Parmesan Garlic Edamame is an absolutely delicious sweet/salty high-protein healthy snack.